DENVER – House Democrats have made good, so far, on their promise to pass bills aimed at curbing health care costs, and Thursday they passed one out of committee to address the high cost of insulin. House Bill 1009, sponsored by Rep. Dylan Roberts, D-Eagle, would require pharmaceutical companies, pharmacy benefit managers, insurers and nonprofits to make more information available on insulin pricing, including production costs, annual profits and wholesale costs. Legislative analysts found that about 200,000 Coloradans take insulin to control their diabetes. The bill passed the House Health, Insurance and Environment Committee on a 7-6 party-line vote. House Bill 1003, sponsored by Rep. Brittany Pettersen, D-Lakewood, would create a study committee on substance-use disorders to recommend legislative options on connecting resources with people who need help. The bill passed 9-2. House Bill 1007, sponsored by Reps. Chris Kennedy of Lakewood and Jonathan Singer of Longmont, would require insurance companies and Medicaid to provide faster approval of medication-assisted treatments for patients with substance-use disorders, so they don’t relapse into opioids. The bill passed 9-1. House Bill 1136, sponsored by Pettersen, would include extended residential and inpatient substance abuse treatment to the Medicaid program, using mostly federal funds. The bill passed 8-3. 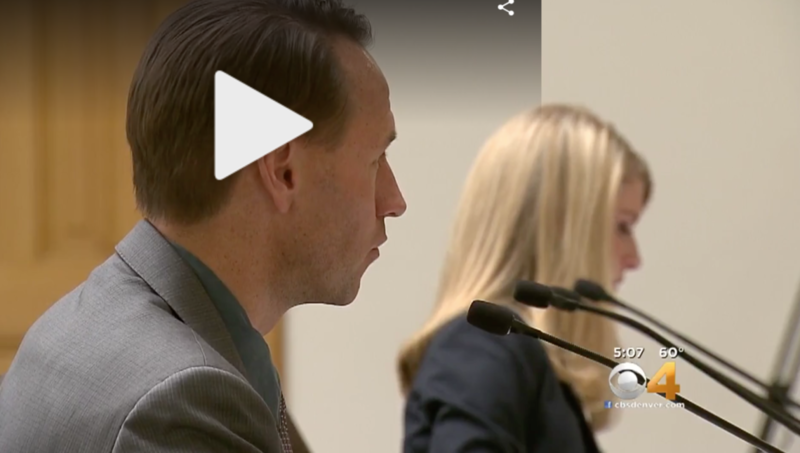 DENVER (CBS4) – A Colorado state lawmaker’s mother gives powerful testimony about the cost of opioid addiction as her daughter introduces legislation aimed at saving the lives of those addicted. “I went from being a dedicated, loving mother of four with a career to someone who’s life became focused on feeding an addiction at the expense of everyone else,” Stacy Pettersen told a House committee on Tuesday. Her daughter, Rep. Brittany Pettersen, has a package of bills aimed at addressing everything from overprescribing, to access to affordable treatment, and prevention and intervention in kids and families. One of the bills would help with education and prevention in kids, provide training for health care professionals and $750,000 in grants for school based health centers. 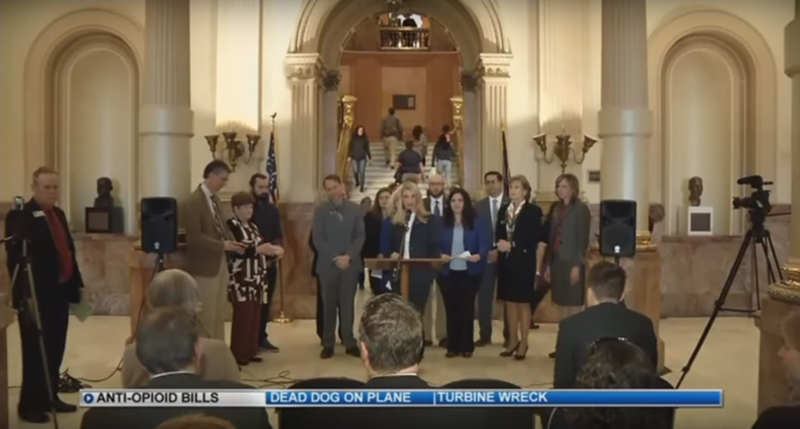 A bipartisan group of Colorado lawmakers on Tuesday introduced five bills for the 2018 legislative session aimed at addressing the growing opioid epidemic in Colorado. “42 Coloradans per day died from opioid overdoses in 2016,” said Dr. Rob Valuck, Director of the Colorado Consortium for Prescription Drug Abuse Prevention. Valuck was among the featured speakers at a press conference Tuesday at the State Capitol in Denver. A bipartisan bill filed in the Colorado House last week would make it harder for drug abusers to forge or duplicate prescriptions on paper to steal opioids, and it’s kind of simple: Prescribers and pharmacies should close the loop online. The bill would require podiatrists, dentists, physicians, physician assistants, advanced practice nurses and optometrists, as well as medical professionals serving rural communities or those in a solo practice, to send opioid prescriptions directly to pharmacies using a secure online connection, except under a few exemptions. The U.S. Drug Enforcement Administration approved the electronic-prescription system in 2010, and after years of federal reimbursement incentives, pharmacies are at or near 100 percent ready. In Colorado, however, only about 9 percent of prescribers are using it. The national average is 15 percent. Six states have made it mandatory and 10 states are considering legislation.